Henley Pretzel is excited to share a new product with you. 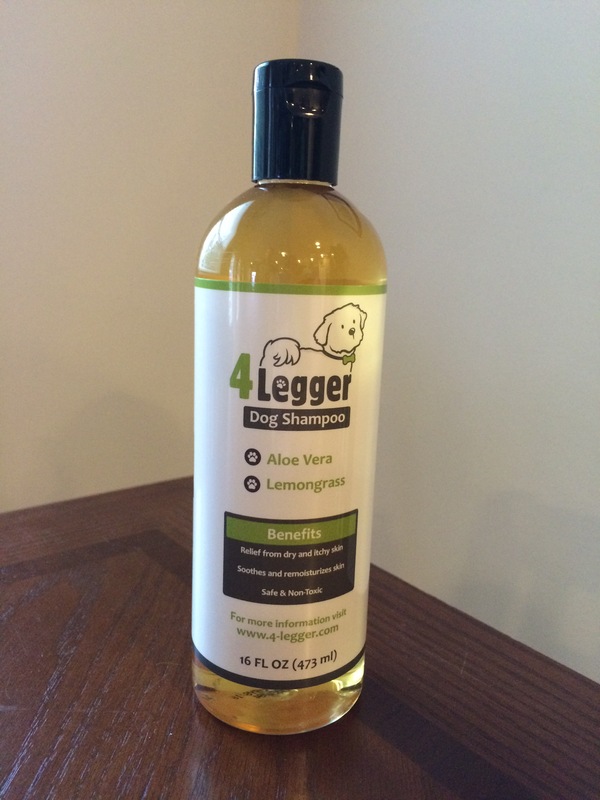 A few weeks ago we received a bottle of shampoo from the folks at 4-Legger. 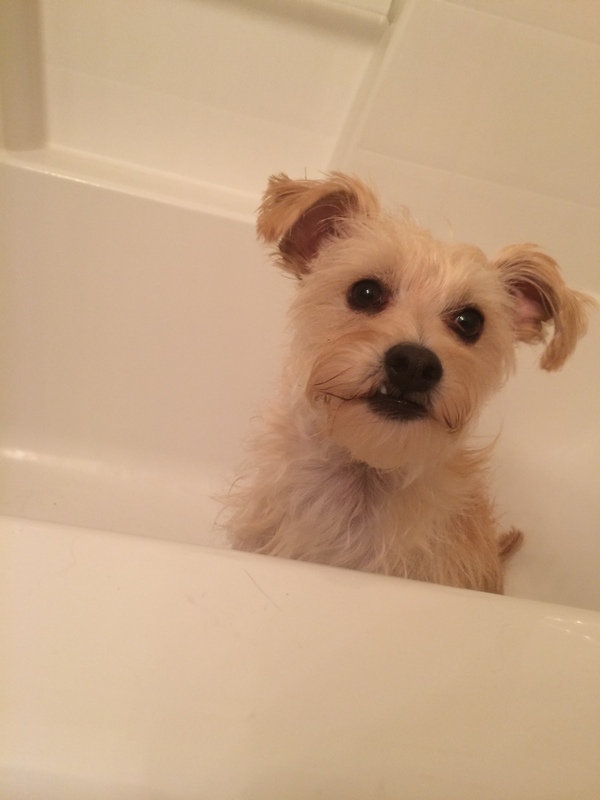 Their signature product is their Aloe and Lemongrass Organic Pet Shampoo (yes, you can use it on all pets!) but they also have two beautiful stoneware dog bowls. 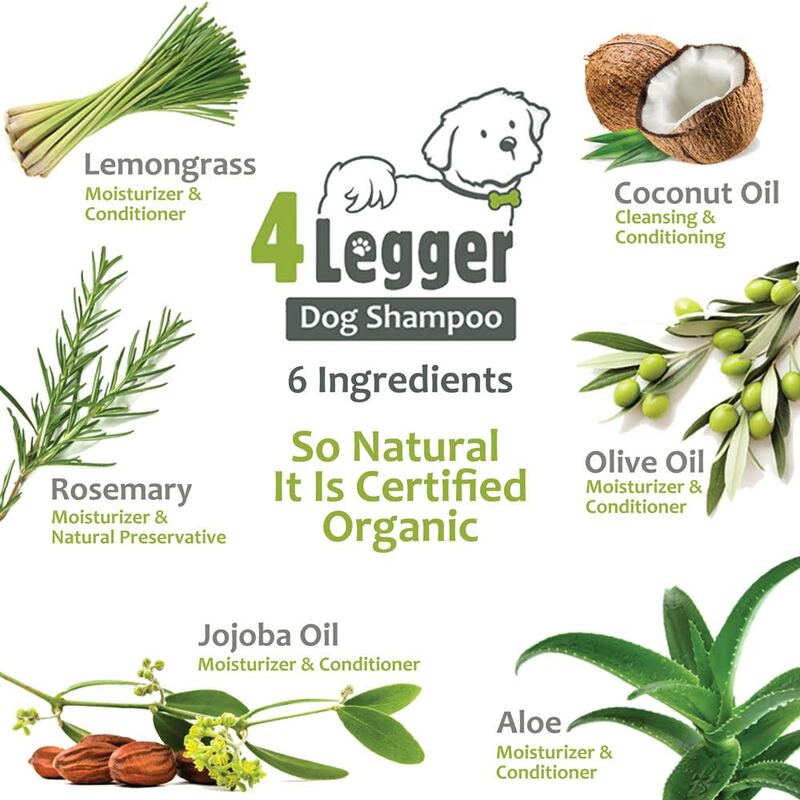 4-Legger Dog Shampoo has a unique creation story. On the day that one of 4-Legger’s owners was diagnosed with cancer, one of our beloved dogs lost his battle with cancer. We have come a long way since that day. Cancer is in remission and we have worked to remove products from our lives (and the lives of our pets) that may cause health issues (from skin sensitivities to accumulated toxins, and worse). We are health conscious, environmentally minded, and focused on bringing to the market products that you can trust. We urge you to read ingredient labels and to do research on products. The pet industry currently has no regulations for labeling and listing ingredients, making it difficult for the consumer to make educated choices. We love our 4-Leggers. They are not just pets, they are part of our family. I love any product that tells me why it has the ingredients it has. 4-Legger has some wonderful ones like lemongrass coconut oil, and rosemary. 4-Legger Dog Shampoo smells divine. I love a good lemongrass candle and this reminded me of ones I’ve smelled in the past. A little went a long way (Henley is pretty tiny, after all) and it sudsed up very well as you can see in the photo above. It rinsed out with ease. Days after Henley’s bath I got reports that he smelled great and that his hair was soft and smooth. I call that a shampooing win! 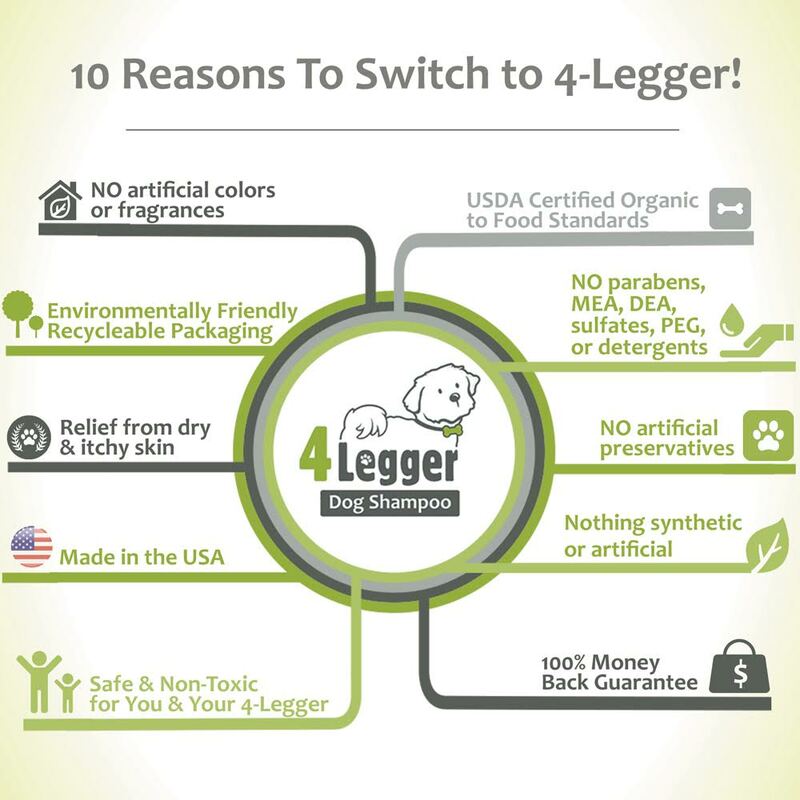 If you’re in the market for a new shampoo for your dog or other pet, give 4-Legger a try! Thanks to the team at 4-Legger for sending us a sample. Posted on September 26, 2015 September 26, 2015 by Shannon	This entry was posted in Beauty Parlor. Bookmark the permalink. Such an adorable little doggy! And this product looks good!